Dr. Miller was born in Anchorage, Alaska. Being a military brat, he lived in many different places before settling in Georgia. 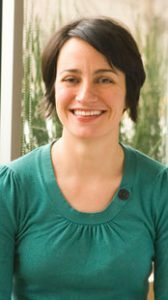 Dr. Miller graduated with high honors from the University of Georgia’s College of Veterinary Medicine in 2003. 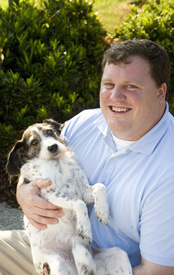 Dr. Miller was honored as one of Atlanta’s "Best Vets" in the Nov. 2010 issue of Atlanta magazine. Prior to veterinary school, Dr. Miller worked as a technician with Dr. Will Draper in Tucker, GA.
Dr. Miller and his wife Stephanie have two children; daughter, Hailey, and son Benjamin. They also have two mixed-breed dogs, Sadie and Marty, and three cats, Leighia, Twisty, and Trinca. He enjoys home renovation and spending time with his family. Dr. Robert A. Kelly practices at Resurgens Orthopaedics – Georgia’s largest orthopaedic practice. 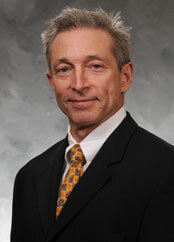 He specializes in Joint Replacement, Knee, Shoulder, and Sports Medicine. Dr. Kelly received his medical degree from the University of Miami School of Medicine in Miami, Florida where he also completed his residency. He completed a fellowship in Sports Medicine at the Alabama Sports Medicine Institute in Birmingham, Alabama. He is board certified by the American Academy of Orthopaedic Surgeons. 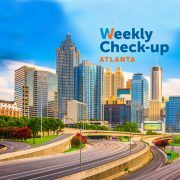 He is a member of the American Medical Association, Arthroscopy Association of North America, Georgia Orthopaedic Society, Medical Association of Georgia, Atlanta Orthopaedic Society, and the Cobb County Medical Society. He was recently named one of Atlanta’s top doctors in Orthopaedic Surgery in the 2012 edition of Atlanta magazine; his second consecutive honor in the publication. He was named a Top Doc in Orthopedic Surgery by U.S. News & World Report in 2011. Dr. Kelly is Associate Professor for Atlanta Medical Center Orthopaedics Residency Program in Sports Medicine. He serves on the Resurgens Board of Directors and is team physician for several local high schools and colleges.